betnix_uk has no other items for sale. 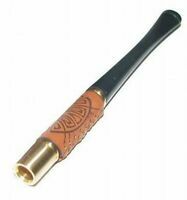 The item is ideal for designed purpose.It is made of a good soft leather well constructed The size easily takes a packet of cigarettes and two lighters in case you need a spare.or could be used for small tin of tobacco and equipment for rollups. 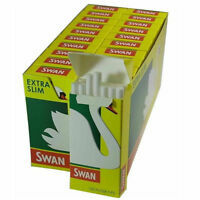 .Keeps all smocking needs together in one light easy to carry container. This case which holds a packet of superking sized cigarettes with another smaller zipped pocket for lighter is very good value. Made of very soft leather. Cigarette purse is lovely & soft, holds 3 lighters as well as cigarettes! Can get notes & coins in side zip. Have bought 2 of these over the last year. So pleasedI am ordering another. 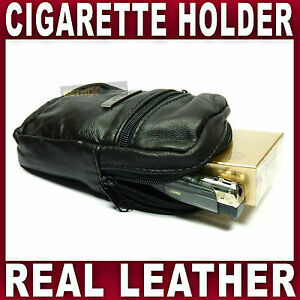 Soft feel cigarette case, room for 20 pack cigarettes and lighter. Extra zip pocket at front. Very pleased, and I am ordering another. Excellent quality & VFM. Non-smoker so bought it as a "pouch" for bigger items or a camera etc. Shame not got a belt loop.